Burhan Muzaffar Wani, a Hizbul Mujahideen commander for South Kashmir, died in an encounter in Bundoora village of Kokernag on July 8, 2016, along with two other militants, Sartaj Ahmad Sheikh and Pervaiz Ahmad Lashkari. Wani’s death has generated unprecedented public hysteria, in keeping with his image as a glamourous, tech savvy, insurgent. The lessons to be drawn from this event go beyond the conventional understanding of violence in Kashmir. 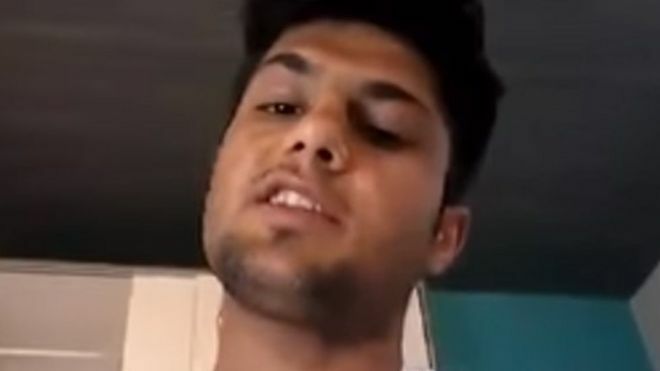 The so-called Islamic State has released a video purporting to show an Afghan asylum seeker making threats before attacking a German train. The 17-year-old injured five people with an axe and knife, one critically, in the attack in Wuerzburg on Monday evening. He was shot dead by police. In the video, a young man brandishing a knife says he is an "IS soldier" preparing for a suicide mission. German officials say they later found a hand-painted IS flag in his room. The teenager reportedly shouted the Islamic phrase "Allahu akbar" ("God is great") during the attack. The self-styled news agency of IS said he had launched the attack "in answer to the calls to target the countries of the coalition fighting the Islamic State". The attack comes days after a lorry ploughed into a crowd in Nice in France, killing 84 people. The self-styled Islamic State group said one of its followers had carried out that attack. In the video, IS identified the attacker as Muhammad Riyad, who can be heard speaking Pashto. Joachim Herrmann, the interior minister of the state of Bavaria, said the flag had been found among the teenager's belongings in his room in his foster home in the nearby town of Ochsenfurt. A text written in Pashtun was also found, he said, and it showed a strong indication that the teenager "could be a person who had been self-radicalised". Mr Herrmann said those who had interacted with the young man in recent months described him as calm and quiet and they could not understand his actions. The teenager had gone to the mosque "on special occasions", he said, but no-one had noticed any radical behaviour and there were no signs yet of a direct link to jihadist networks. *** The Coup How did the coup plotters in Turkey avoid being detected? On Friday night local time, we heard that tanks had been deployed in Istanbul, two bridges over the Bosporus were closed and fighting in Ankara had erupted. Given that an armored invasion of Turkey was unlikely, it became clear that we were seeing an attempt at a coup d'état. During the Cold War, such coups were common. Turkey had one in 1980. They were common in Latin America and Southeast Asia. Books have been written on how to stage a coup d’état. The basic rule is simple. Do it suddenly and with maximum surprise. If information leaks that you are planning a coup, you are likely to be arrested and shot. To avoid that, you must invent a reason why masses of tanks are going toward the capital, air force planes are preparing for missions and the leaves of soldiers are being cancelled. The reason of choice is that you — the senior officer who thought this up — ordered a surprise exercise to test the readiness of forces. If you are not senior enough to have the authority to plan such an exercise, you probably shouldn’t be planning a coup in the first place. Having resolved to carry out the coup, lay out the plan and share it with as few people as possible who are loyal to you (good luck). Then, remember why it is called a coup. It is a sudden blow designed to overwhelm the sitting government. The first goal is to capture communication channels and shut them down. You need to get to the systems that permit phone calls. This used to be the telephone exchange but it has gotten more complicated. You should also take down all social media. Seize all TV and radio stations and place your own personnel in them. Having done that, seize all significant government buildings — but if you control communication channels, these buildings are as useful as warehouses. *** Jihad unlimited: Does Kashmir need a military response or a political one? Fifth Column: Every time the Valley explodes, experts emerge to pronounce in ponderous tones that we need to find a ‘political solution’ instead of just a military one. Within hours of the attack in Nice, the President of France acknowledged that it was an act of Islamist terror. I consider this an important detail to begin this week’s column with because it is my view that a failure to acknowledge what is really happening in the Kashmir valley is the main reason why we get no closer to finding a political solution. The armed struggle for ‘azaadi’ that began in the last days of 1989, when Yasin Malik and his comrades kidnapped Mehbooba Mufti’s sister, was secular in nature and was a mistaken but sincere attempt to win freedom for Kashmir. This movement was subsumed long ago by jihadi terrorism planned by groups who took their orders from Pakistan’s ISI. These groups fought under the banner of Islam. Nearly every video of Burhan Wani shows him affirming that his fight is for Islam. When he was killed on July 8, the first people to commemorate him as a martyr were Hafiz Saeed and Syed Salahuddin. Wani belonged to the Hizbul Mujahideen that the ISI formed in the early Nineties with the specific purpose of taking over the ‘azaadi’ movement from the JKLF (Jammu Kashmir Liberation Front). The nature of the movement changed. On Srinagar’s streets suddenly appeared bearded young men who forcibly closed bars, cinemas and video shops. These same fanatics then targeted women who did not cover their faces, and soon emerged zealots like Asiya Andrabi of the Dukhtaran-e-Millat, who not only covers her whole face but wears black gloves so that no hint of female flesh is visible. These changes were dramatic and sudden. They did not happen gradually, but to this day, most Indian commentators continue to be in denial mode. Is it just me or have you noticed that nobody yet links the violence in Kashmir to the worldwide jihad? In Srinagar last summer when I first heard of Burhan Wani, people talked of him with reverence but without mentioning that his fight was not just for ‘azaadi’ but for Islam. Like his Islamist brothers across the Muslim world, his videos show him saying this in clear terms. The thousands who attended his funeral indicate that in death he remains Kashmir’s biggest hero. So has Islamism put down deep, deep roots? If it has, what should we be doing about it? Can we do anything about it if we continue to deny that it is not freedom from India that the Kashmiris now want but their own little Islamic state? Every time the Valley explodes, experts emerge to pronounce in ponderous tones that we need to find a ‘political solution’ instead of just a military one. Yes. Everyone knows this. What nobody seems to know is what this political solution could be and if it is even possible to think about political solutions when angry, young Kashmiris hate India enough to risk their lives by attacking armed security personnel. Is a political solution possible as long as Pakistan continues to back jihadists? There is no point in pretending that this did not happen again this time. Synchronised attacks on police stations indicate a degree of planning that is well beyond the strategic capacity of school children and angry young men. The divide between Islamists and secularists is not as clear as some believe. Having safely landed in Istanbul after what was reportedly a harrowing journey in which Turkish President Recep Tayyip Erdoğan’s plane was targeted by coup-supporting F-16 fighter jets, Erdoğan did a curious thing. He accused Fethullah Gülen and Gülenist supporters of being behind the coup. This was curious not because of the accusation itself, but because it was among a number of examples from the past few days that shows how antiquated it is to speak of Turkish politics strictly in terms of a divide between religion and secularism. Erdoğan’s Justice and Development Party (AKP) and Gülen’s supporters were once allies and had similar views on the role Islam should play in the governing and daily life of the Turkish Republic. Erdoğan used the Gülenists to try and solidify his control over the army. Erdoğan is now using the parts of the state loyal to him to tear down the Gülenist “parallel state.” If it were a black and white issue, this type of maneuvering would not be possible. AKP and the Gülen movement are not rival Islamist camps; rather both are competing for the intellectual leadership of post-Kemalist Turkish secularism, which allows religion a role in civil society. Consider also that, while the coup attempt was underway, it was disavowed by leaders of the Republican People’s Party (CHP), the party of Mustafa Kemal Atatürk (the founder of Turkey). This despite the fact that the coup plotters explicitly claimed in their statement to the country that they wanted to protect secularism from Erdoğan. The next day, AKP and the leaders of CHP, the Nationalist Movement Party (MHP) and the Kurdish Peoples’ Democratic Party (HDP) joined together at an extraordinary session of the parliament’s general assembly to express their support for democracy and Erdoğan’s leadership. A cadre within the Turkish Armed Forces mounted a failed coup attempt against Turkish President Recep Tayyip Erdogan and his ruling Justice and Development Party (AKP) on 15 - 16 JUL. Elements of the Turkish Air Force conducted airstrikes against key government buildings including the National Intelligence Organization (MIT) headquarters, the Presidential Palace, and the Grand National Assembly. A statement broadcasted by the coup plotters on national television announced the formation of a “committee of national peace” to run the country and prevent the erosion of democratic and secular values. At about 12:30 AM local time on July 16, President Erdogan issued a live statement via FaceTime, calling for “people to gather in squares, airports.” Mosques and political party offices also repeated the call to action. By about 8:00 AM local time on the morning of July 16, at least 2,839 military personnel had been detained, including four generals and twenty-nine colonels, according to Turkish Prime Minister Binali Yildirim. Prime Minister Yildirim noted on July 16 that clashes killed at least 265 individualsand wounded at least 1,440 others as anti-Coup demonstrators and military personal reasserted control. The coup-plotters did not receive broad-based support within military ranks, political elite, or from foreign countries. They likely intended to spark popular support for removing Erdogan, but failed. Most coup plotters were low-to-mid-ranking officers led by Col. Muharrem Kose, the former head of the legal advisory department in the Turkish Armed Forces, and Gen. Akin Ozturk, former commander of the Turkish Air Force. The coup lacked unanimous support among high-ranking officers. Plotters were forced to detain Turkish Chief of the General Staff Gen. Hulusi Akar and other senior officials early in the coup when they refused to cooperate. Other high ranking officers, including Turkish First Army Commander Gen. Umit Dundar and General Zekai Aksakalli, the commander of the military special forces, condemned the coup publically as events unfolded. The three main opposition parties - the Republican People’s Party (CHP), the Nationalist Movement Party (MHP), and the People’s Democratic Party (HDP) - all publically renounced the coup. U.S. President Barack Obama and U.S. Secretary of State John Kerry called upon all parties to respect the “democratically-elected” government roughly two hours after the coup broke out. Other countries quickly followed suit. Erdogan has been setting conditions against a military coup since the late 1990’s,slowly purging the military. The failed coup demonstrated the success of these efforts. The inability of the junior officers in charge of the coup to broaden their support base indicates that Erdogan has the personal loyalty of most of the senior officer corps. The size and the scale of popular mobilization against the coup indicates that Erdogan’s domestic base is broad and powerful. Erdogan effectively used mosques and religious leaders, in addition to traditional party offices, to draw the masses to the street promptly. Thousands of civilians poured into the streets in Istanbul, Ankara, and other cities to protest the coup after Erdogan called for mass unrest. Protestors overwhelmed the Turkish military forces and seized the Ataturk International Airport, forcing the occupying soldiers to surrender. Similar events occurred on smaller levels across Istanbul and Ankara. Erdogan has now demonstrated the extent of his domestic support and holds a mandate to purge the military, judiciary, and other bodies under the guise of post-coup reforms without significant public backlash. Erdogan’s victory on July 15 will allow him to finish consolidating power by eliminating rivals such as members of the Gulen movement. President Erdogan blamed the coup attempt on a “parallel state” linked to former political ally Fethullah Gulen, a former cleric who lives in self-imposed exile in Pennsylvania, and his support base known as ‘the Gulen movement.’ Gulen has denied the charges. Gulen fled to the U.S. in 2014 after a fallout with Erdogan over allegations of corruption against officials close to Erdogan. Among the many questions still unanswered following Friday’s coup attempt in Turkey is one that has national-security implications for the United States and for the rest of the world: How secure are the American hydrogen bombs stored at a Turkish airbase? The Incirlik Airbase, in southeast Turkey, houses NATO’s largest nuclear-weapons storage facility. On Saturday morning, the American Embassy in Ankara issued an “Emergency Message for U.S. Citizens,” warning that power had been cut to Incirlik and that “local authorities are denying movements on to and off of” the base. Incirlik was forced to rely on backup generators; U.S. Air Force planes stationed there were prohibited from taking off or landing; and the security-threat level was raised to FPCON Delta, the highest state of alert, declared when a terrorist attack has occurred or may be imminent. On Sunday, the base commander, General Bekir Ercan Van, and nine other Turkish officers at Incirlik were detained for allegedly supporting the coup. As of this writing, American flights have resumed at the base, but the power is still cut off. According to Hans M. Kristensen, the director of the Nuclear Information Project at the Federation of American Scientists, underground vaults at Incirlik hold about fifty B-61 hydrogen bombs—more than twenty-five per cent of the nuclear weapons in the NATO stockpile. The nuclear yield of the B-61 can be adjusted to suit a particular mission. The bomb that destroyed Hiroshima had an explosive force equivalent to about fifteen kilotons of TNT. In comparison, the “dial-a-yield” of the B-61 bombs at Incirlik can be adjusted from 0.3 kilotons to as many as a hundred and seventy kilotons. Incirlik was built by the U.S. Army Corps of Engineers in the wake of the Second World War; when Turkey joined NATO, in 1952, it became a crucial American base during the Cold War. With a flight time of about an hour to the Soviet Union, the base hosted American fighters, bombers, tankers, and U-2 spy planes. And, like many NATO bases, it stored American nuclear weapons. NATO strategy was dependent on nuclear weapons as a counterbalance to the perceived superiority of Soviet conventional forces. The threat of a nuclear attack, it was assumed, would deter Soviet tanks from rolling into NATO territory. And granting NATOcountries access to nuclear weapons would strengthen the alliance, providing tangible evidence that the United States would risk a nuclear war for NATO’s defense. New Delhi’s reverie is rudely interrupted by Kashmir reality again. It must now confront a youth despair different from the old, own its share of responsibility for it. Tens of thousands of people, some newspaper accounts say, marched to the Eidgah in Srinagar on a grey spring morning in 1990, defying a curfew, to bury Ashfaq Majeed Wani, icon of the Kashmir insurgency. His claims to sainthood were dubious, at best: He’d kidnapped a civilian, now-Chief Minister Mehbooba Mufti’s sister Rubaiya Sayeed, menaced the Pandit minority, before ending his career by accidentally blowing himself up with a grenade in a botched ambush near Srinagar’s Firdaus Cinema, the only actual military operation he is documented to have participated in. In 1990, even a second-rate martyr sufficed. “Mothers would put mehendi on their sons going to Pakistan”, recorded the scholar Navnita Behera. 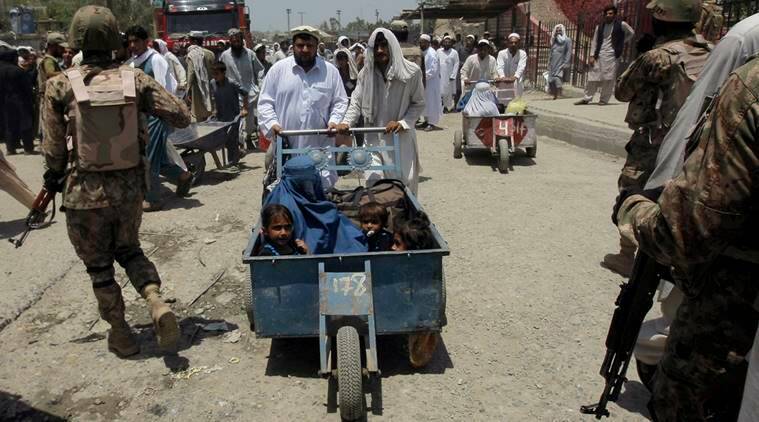 “Children carried placards saying ‘Indian dogs go home’ or ‘Mujahideen qaum zindabad’”. The startled surprise with which many in India have responded this week, to the violence unleashed by the killing of Burhan Wani is testimony to the amnesia and denial which surrounds national conversations on Kashmir. Having imagined that politics in Kashmir was engaged in a process of reconciliation with the ethnic-religious nationalism that long drove jihad, New Delhi’s reverie has been rudely interrupted by reality. Burhan Wani was, as his critics contend, a terrorist, not a feckless innocent. To end the conversation there, though, is to also miss the point. Like Ashfaq Wani, more than a quarter century ago, he was significant as an aesthetic, not an individual. The question New Delhi should ask is why unarmed young men are hurling themselves in the direction of bullets to defend that aesthetic. Fiction on Kashmir, by sheer repetition on prime-time television, has acquired the magical quality of reality. Facts matter, though, and this one more than others: There is no escalation of terrorist violence in Kashmir. Bar a small uptick in 2012, violence in Kashmir has been declining since 2002. The number of active terrorists, too, has fallen steadily. Last year, there were 148 who carried out 143 attacks — less than one per terrorist per year, the laziest insurgency in the annals of warfare. There is no upsurge of Kashmiris joining jihadist groups, either. Last year, 66 youngsters were reported to have joined jihadist groups, from 16 in 2014 — a figure newspapers read as a sharp escalation. In context, though, 2010-2013 were years of exceptionally low recruitment; the numbers are now closer to their general level this past decade. Moreover, the large-scale killings of civilians in the communally-charged protests of 2008 and 2010 did not drive young Kashmiris into the ranks of terrorist groups: Recruitment actually fell. Large groups of people, mainly youth, have been gathering at the funerals of slain jihadists — in October 2015, more than 30,000 marched to bury the Lashkar-e-Taiba’s southern division commander, Abu Qasim — but few joined their ranks. “The language of war is killing”, the philosopher Carl von Clausewitz taught. This youth cohort, though, is choosing not to speak that particular language. The violence that followed Burhan Wani’s killing, much as in 2010, involved storming police posts. These were the acts of the suicide bomber, perhaps — but without the bomb. Turkish president Recep Tayyip Erdoğan urges supporters to fight the coup attempt in Turkey via a FaceTime session with NTV as he fled to Istanbul. A failed coup attempt in Turkey, which began during the evening of July 15, was apparently coordinated using the WhatsApp mobile messaging service, according to reports from Turkish media. And among the apparent plotters was a Turkish Army colonel who was considered an expert in cyber-operations. Ahmet Zeki Gerehan, a Turkish infantry officer, was head of the operation and intelligence department at the Turkish Army War College and co-author of a number of articles on cyber-warfare. 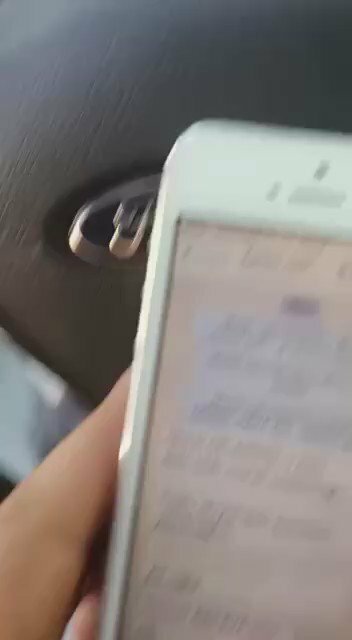 According to video reports, officers involved in the coup gave moment-by-moment status reports in a WhatsApp group chat entitled "We are a country of peace" ("yurta suhl b iziz"), as the faction moved to shut down the bridge over the Bosporus connecting the Istanbul region to the rest of Turkey and conceal their operations from official communications channels. Gerehan was highly aware of how effective using technology like WhatsApp could be against a centralized command-and-control system. One of the papers he co-authored was presented in 2015 with one of his students at the Turkish Army War College during the Journal of National Security and Military Science's International Leadership Symposium entitled Security and the Environment of Future Military Operations. Speaking of the hybrid nature of conflicts in the 21st Century, he wrote, "Cyber Warfare might be the decisive factor in future wars." In another paper, he and his co-authors noted, "The power of social networks, during elections, street incidents in repressive regimes or during natural disasters, has proved its ability to change traditional one-way media, from news agency to people." But even as the coup planners were using encrypted consumer-grade communications as part of their operational security, they failed to take into account that Internet messaging would be used against them. 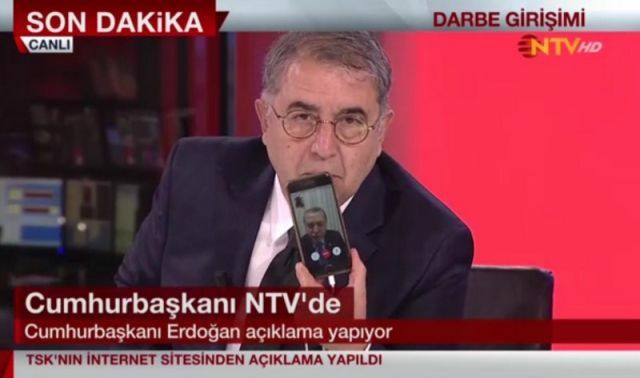 While some social media channels were slowed by apparent network bandwidth throttling early in the coup attempt, Turkish President Recep Tayyip Erdoğan was able to use Apple's FaceTime video chat app to reach at least two television stations and call for citizens to take to the streets to counter the coup attempt. Erdoğan's message also reached mosques, which used their public address systems normally used for calls to prayer to rally supporters and get them out onto the streets to confront the units involved in the coup. JERUSALEM — For many Israelis, the horrifying images of a truck plowing through crowdsfor more than a mile in the French resort town of Nice struck a macabrely familiar chord. He was referring to a 2014 attack, by a Palestinian resident of the city, that killed an Israeli pedestrian. 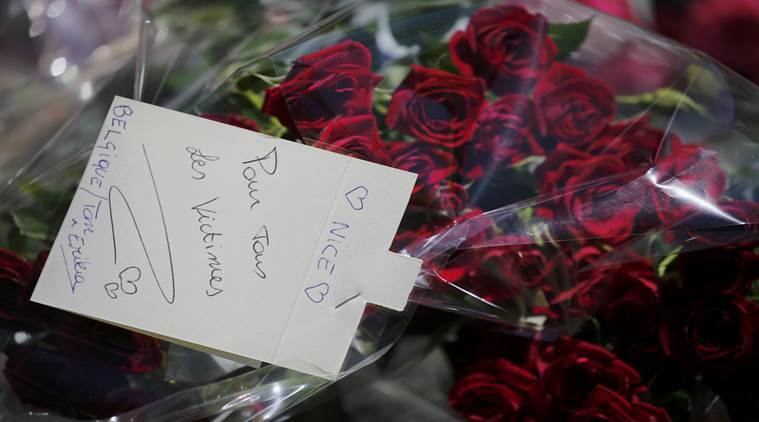 Nice was an even more direct, if far deadlier, echo of a 2011 rampagein which an Arab-Israeli man’s truck barreled down a Tel Aviv street for a mile, killing one and wounding 17. These followed a spate of attacks with heavy construction vehicles and cars as weapons in 2008. And since October, according to Shin Bet, Israel’s domestic security agency, at least 32 Palestinians have rammed vehicles into people at bus stops, intersections and military checkpoints. The French prime minister said after the Nice attack, the nation’s third mass killing in 18 months, that France “must live with terrorism.” That is what Israelis have been doing for decades, through the plane hijackings of the 1970s; the suicide bombers of the second intifada, or Palestinian uprising, which began in 2000; and the lone-wolf stabbings andshootings of the past 10 months. In Israel, ordinary citizens, security officials and experts feel they have seen it all and say they have adapted to a perennial, if ever-changing, threat. They speak of constantly staying alert, exercising caution and growing accustomed to what some may find to be intrusive levels of security, but essentially carrying on. That routine includes opening bags for a check and passing through metal detectors at train or bus stations, shopping malls and movie complexes. At the height of the suicide bombings, customers paid a small surcharge at cafes and restaurants to subsidize the cost of a guard at the door. Hundreds of armed civilian guards have been deployed to protect public transportation in Jerusalem in recent months amid the wave of attacks, which have been glorified by some Palestinians on social media. The guards stand at bus and light-rail stops, and hop on and off buses along main routes, with the same powers to search and arrest as the police. Israel has also invested hugely in intelligence, its tactics evolving as its enemies change theirs. Several psychological studies in Israel have found that people habituate quickly to threats, making adjustments to daily life — keeping children at home, for example, rather than sending them to summer camp — and adopting dark humor about the randomness of the threat. Winning the war in Iraq and Syria won’t stop attacks in Europe. Iraqi forces took back Fallujah from ISIS in late June, establishing full control over one of the jihadis’ most emblematic bastions. There’s a school of thought that the recent surge of terrorist strikes, capped by Thursday’s mass murder in Nice, France, that has killed at least 84 people, is a sign of ISIS’s desperation—a response to shore up morale and reassert its relevance, in the face of its string of losses on the battlefields of Syria and Iraq. It’s true that American airstrikes, Iraqi and Kurdish ground assaults, and the occasional raid by U.S. Special Forces have lately pummeled ISIS forces, severed their supply lines, and recaptured some of their strongholds. But it’s extremely unlikely that the spike of terrorist attacks for which ISIS has claimed credit (or for which the killers have claimed allegiance to ISIS)—in Orlando, Jordan, Lebanon, Istanbul, Baghdad, Saudi Arabia, Bangladesh, and now southern France, just in the past month—has any correlation with the ups and downs of tactical military operations. Similar spates of attacks have occurred from time to time. People tend to view them as evidence of escalation or a strategic shift, as something new and significant, when the cluster of activity is little more than a reflection of chance—several groups of attackers getting lucky at the same time and causing the world to take notice. A similar spike took place, for instance, in January (well before any battlefield setbacks), with terrorist attacks in Libya, Iraq, Turkey, Afghanistan, Indonesia, and Egypt. Bruce Hoffman, director of Georgetown University’s Center for Security Studies and senior fellow at the U.S. Military Academy’s Combating Terrorism Center, agrees. * In a phone conversation Thursday, he said that data indicate no relationship, one way or the other, between ISIS’s territorial gains or losses and its terrorist operations. It’s long been reported that the truly coordinated ISIS attacks—such as those in Paris and Brussels—took many months, in the case of Paris two years, to organize. In other words, they were initiated when ISIS was gaining territory, not losing it. Finally, though the two strands of ISIS operations—military operations in the Levant and terrorist strikes abroad—are part of the same overall goal, they are run as separate enterprises. In many cases (and not just recently), the terrorists in question have been “lone wolves” who were inspired by ISIS but not directed by any central organization. French police sources have identified the driver of the truck as 31-year-old Mohamed Lahouaiej Bouhlel, who was not previously known to hold radical or Islamist views. ISIS Twitter accounts have cheered the results, but Rukmini Callimachi, the New York Times reporter who follows these accounts intensely, noted Thursday night that, in the past they have also applauded killings that turned out not to have involved ISIS at all. * She also tweeted that ISIS spokesmen have urged followers to use cars as weapons to kill infidels as far back as 2014 and as recently as last month. It’s as yet unknown whether the driver in Nice got his idea from those sources. JOINT SUBCOMMITTEE HEARING: PAKISTAN: FRIEND OR FOE IN THE FIGHT AGAINST TERRORISM? LAHORE, Pakistan (AP) – The United States has put a $10 million bounty on his head, labeling him a terrorist. He is one of the most wanted men in India. Yet, Hafiz Saeed walks free in his home country of Pakistan, denouncing Washington and New Delhi in public speeches. Now the man identified by the U.S. as a founding member of the Lashkar-e-Taiba militant group is weighing in on the flare-up of violence in Kashmir, the mountainous region divided between Pakistani and Indian control, where dozens have died in clashes with protesters after Indian security forces killed a top rebel leader. In an interview with The Associated Press, Saeed accused the U.S. of giving India a free hand to crush the anti-India protests in its Himalayan territory, warning that will only lead to an escalation of violence. “America is supporting this oppression by India by saying it is an internal matter,” the 66-year-old Saeed said in the interview, which took place Wednesday at his two-story home behind a steel barrier separating it from the narrow streets of the eastern city of Lahore. “This has given India encouragement, and because of this, the killings and violence” will continue, he said. Washington has said it will not intervene. But U.S. State Department spokeswoman Elizabeth Trudeau, speaking to reporters Thursday, disagreed with the suggestion by Saeed and others that the U.S. is aloof and therefore partly responsible for the crackdown. She said the U.S. has had discussions with both India and Pakistan about the violence in Kashmir. Saeed said he will lead nationwide demonstrations in Pakistan to force its government to sever ties with the U.S. if it cannot convince Washington to intervene in the decades-old Kashmir dispute. The two countries, which also possess nuclear weapons, have fought three wars, two of them over Kashmir. Militants demand that Kashmir be united either under Pakistani rule or as an independent country. At least 31 people have been killed in Kashmir in street protests after Indian troops last week killed Burhan Wani, a charismatic Kashmiri insurgent. Today, Pakistan is troubled by the obligation of self-diagnosis it simply can’t allow because of the long road it has travelled with wrong policies. Its new army chief seems to have acted with urgency to stop the fallout of these policies but the burden of correction is too big. Adviser on foreign affairs, Sartaj Aziz, says it will trigger a blowback Pakistan can’t afford. But reaffirming postures that have brought Pakistan to the brink also trigger international isolation. This is what happened last month when Afghan guards on the other side of the Torkham border shot and killed a Pakistani major. Defence Minister Khwaja Asif thought he should fling a warning and show Pakistan is capable of striking back. But when he said the death would be avenged, he mentioned “enemies” who would be punished, not Afghanistan. The word covered Afghanistan, India and — after the Modi visit to the US — America. Foreign Secretary Aizaz Chaudhry addressing the senate couldn’t resist including the US which was “probably upset over the multibillion-dollar China-Pakistan Economic Corridor project (CPEC)”. Islamabad journalist Imtiaz Gul caught the reaction of a “Chinese friend” after Chaudhry’s strategic gem, thus: “Is the US really upset? And if it is, do Pakistani officials really need to state this so publicly? Pakistan should have the confidence to stand on its own two feet. Why does it have to present CPEC as a life-jacket?” Clearly meant for internal consumption, the statements described Pakistan making up for regional isolation with bravado. If Pakistan thinks it can stand behind China and avoid self-correction, it may be mistaken. What bothers President Ashraf Ghani of Afghanistan and all the neighbours are Pakistan-based elements that also bother China. The Chinese contractors working on projects in Pakistan have been murdered in all parts. The isolation, now obvious enough to hurt the common man, can’t be tackled by leaning on China. It is not global strategy that is delivering the new blows to Pakistan’s stability but Pakistan’s internal problems. The ruling of the Permanent Court of Arbitration (PCA) in The Hague against China’s claim on the South China Sea in a case brought before the court by the Philippines should prima facie have remained a bilateral matter between the litigants. In reality, however, it has become an exemplar of China’s role in the ongoing contest to determine the world order. China’s shrill and bellicose response during and after the ruling has only served to heighten alarm over Beijing’s intentions and behaviour among all the major powers, including India. China’s attitude ranged from benign disengagement and denial of the court’s jurisdiction to rabid intimidation and downright threats. It made little effort to engage with either the PCA or to build support for its cause. Instead, it erroneously assumed that as a global power, it had earned the right to violate the very rules that it had signed up to earlier. Among China’s paltry and dubious supporters were land-locked Afghanistan and Niger. Ironically, though Taiwan’s rejection of the PCA ruling was along the lines of China (as the former also claims the South China Sea), Taipei’s support is of no consolation to Beijing. Bizarrely, Pakistan supported China’s rejection of the ruling and called for resolution of the dispute “through consultations and negotiations by states directly concerned, in accordance with bilateral agreements” even as Islamabad’s representative at the UN demanded implementation of international resolutions to address bilateral disputes. Had China garnered some modicum of support, its “optional exception” argument—though legally untenable—might have had some political viability. Instead, as US defence secretary Ashton Carter foretold, China’s actions have built a “Great Wall of self-isolation”. China’s approach to the United Nations Convention on the Law of the Sea (UNCLOS), the PCA and the South China Sea case was in stark contrast to India’s successful engagement in 2008 (with a little help from Washington) of the Nuclear Suppliers Group to seek a one-time waiver. This exception was granted partly in recognition of India’s growing global role and partly on account of New Delhi’s constructive diplomatic outreach and engagement with key capitals (apart from its non-proliferation record). Would counterterrorism forces be better served by containing terrorist groups instead of attempting to destroy them? While causing a terrorist organization to break apart might seem like a positive outcome — indeed, this is one of the primary objectives of most counterterrorism campaigns — the fracturing of a terrorist organization often causes the emergence of new, and in some cases more violent, splinter organizations. Dismantling and destroying the Islamic State and similar organizations is a worthy strategic goal, but policymakers must also be prepared to limit the effectiveness of splinter groups as they emerge in the aftermath of a successful campaign against the parent group. The Islamic State — a splinter of al-Qaeda in Iraq or AQI, which itself was previously a splinter of al-Qaeda — is one of many terrorist organizations that owe their emergence to the fracturing of a pre-existing group. Hezbollah, for example was an offshoot of the Afwaj al-Muqawama al-Lubnaniya (AMAL), formed in the early 1980s with help from Iran in response to Israel’s invasion of southern Lebanon. The Liberation Tigers of Tamil Eelam (LTTE) coalesced between the late 1970s and early 1980s from an assortment of Tamil rebel groups. Other prominent splinter groups have flourished in Northern Ireland (the Real IRA), Algeria (the Salafist Group for Preaching and Combat) and Thailand (the New Patani United Liberation Organization). Splinter groups are often only slight variations on the original groups, with minor differences in ideology but more significant discrepancies over strategy, tactics and the utility of violence. NEW YORK – Deadly terrorist attacks in Istanbul, Dhaka, and Baghdad demonstrate the murderous reach of the Islamic State (ISIS) in Europe, North Africa, the Middle East, and parts of Asia. The longer ISIS maintains its strongholds in Syria and Iraq, the longer its terrorist network will create such carnage. Yet ISIS is not especially difficult to defeat. The problem is that none of the states involved in Iraq and Syria, including the United States and its allies, has so far treated ISIS as its primary foe. It’s time they do. ISIS has a small fighting force, which the US puts at 20,000 to 25,000 in Iraq and Syria, and another 5,000 or so in Libya. Compared to the number of active military personnelin Syria (125,000), Iraq (271,500), Saudi Arabia (233,500), Turkey (510,600), or Iran (523,000), ISIS is minuscule. Israel opposes ISIS, but Israel’s greater concern is Assad’s Iranian backing. Assad enables Iran to support two paramilitary foes of Israel, Hezbollah and Hamas. Israel therefore prioritizes the removal of Assad over the defeat of ISIS. In the Age of ISIS, Who’s a Terrorist, and Who’s Simply Deranged? In December 2014, a middle-aged man driving a car in Dijon, France, mowed down more than a dozen pedestrians within 30 minutes, occasionally shouting Islamic slogans from his window. The age of the Islamic State, in which the tools of terrorism appear increasingly crude and haphazard, has led to a reimagining of the common notion of who is and who is not a terrorist. Instances of wanton violence by deranged attackers — whether in Nice or in Orlando, Fla. — are swiftly judged to be the work of terrorists. These judgments occur even when there is little immediate evidence that the attackers had direct ties to terrorist groups and when they do not fit a classic definition of terrorists as those who use violence to advance a political agenda. Turkey's Failed Coup: What Happened, Who's Behind It, What Happens Next? How Turks answer the 'who dunnit' question depends a lot on their political views. Turkey on the night of on 15-16 July looked a lot like the opening scene of the 2013 blockbuster Man of Steel. Dissatisfied elements of the military staged a coup against a political elite they saw as out of touch with reality and worse, treasonous. Although the Turkish junta failed just like its Kryptonian counterpart, as Paul Pillar wrote on The National Interest on 16 July, democracy “sort of” survived in the critical NATO ally. And the worst may yet to come for Turkey and its most important global partner, the United States. Around 9 p.m. local time, reports began to surface on social media that military units were establishing road-blocks in Istanbul and Ankara while Super Cobra helicopters and F-16 fighter planes conducted low-altitude flights over Turkey’s two largest cities. In Istanbul, soldiers reportedly blocked the two bridges straddling the Istanbul Strait (Bosphorus) with tanks while armored units moved in to Atatürk International Airport. In the capital Ankara, tanks positioned themselves at critical intersections and several helicopter gunships began patrolling the sky. Clashes took place between junta forces and military and police units loyal to the government. Around 11:15 p.m., Prime Minister Binali Yıldırım set up phone calls with television channels and confirmed an ongoing “coup attempt.” Soon after that, President Recep Tayyip Erdoğan, who was on vacation at the Aegean town of Marmaris, connected with media outlets via FaceTime and called upon citizens to march against the junta. Crowds soon followed suit. Around that time, an anchorwoman read the junta’s statement on state television, TRT. Curiously, the junta could not air its statement on other TV channels. Meanwhile, civilians flooded the streets amidst gruesome images. Between 2 a.m and 4 a.m. TV channels showed the armored units blocking Bosphorus Bridge firing at civilians who had heeded Erdoğan’s call. In Ankara, helicopters fired at crowds who had gathered near the new presidential palace and the national assembly even as members of parliament were holed up inside. Everything happened quickly after that. A defiant Erdoğan flew in from Marmaris and gave a speech to the crowd at Istanbul airport; all four political parties in parliament condemned the coup attempt; and military and police units in Ankara stormed the junta’s strongholds. Around 6:45 a.m., TV channels showed troops — many of them conscripts dragged into the bloody mess by their superiors who told them that it was a “special exercise” — surrendering to police on Bosphorus Bridge. According to latest estimates, around 190 people died, 1,440 people were wounded, and nearly 6,000 members of the military and judiciary were taken into custody for their alleged role in the coup plot. How Turks answer the “who dunnit” question depends a lot on their political views. Three narratives have emerged since 15 July. Is ISIS Really 'On the Run,' as Kerry Says? Kerry’s interview with Mr. Tapper, in which the host challenged Kerry’s logic, raises questions about what a victory against IS would be. Is it a defeat of its territorial claims of a caliphate in Iraq and Syria? Or is it an end to terrorist attacks it executes or inspires in Iraq, western Asia, Europe, and the United States? Kerry, on Sunday, referred to the group’s large territorial losses in Syria and Iraq. He said the territory IS once laid claim to in the two countries has decreased 40 to 45 percent. One of IS’s key losses, in the eyes of Iraqi forces, the United States, and their allies, is Fallujah. Once a stronghold for IS, the city was recaptured by Iraqi forces that on June 26 declared it "completely liberated." Iraqis and Americans hope to capitalize on this momentum, as well as other recent gains, to retake Mosul, Iraq, the largest city IS holds. Iraqi forces seized an airfield40 miles outside Mosul July 11, and President Obama announced the day after he will send 560 more troops there to support an Iraqi attack on the city. Terror and powerlessness Will attacks, like the one in Nice, ultimately bridge serious differences between great powers? The sense of powerlessness that these incidents induce will have serious political consequences. The horrific terror unleashed in Nice produces a sense of vertigo. The use of a vehicle to mow down people as an act of terror, is not unprecedented. But the scale of this atrocity is all the more unnerving because it underscores that terror is not just about violence or achieving political objectives or redemption. It is designed to induce a permanent state of fear. The idea that violence can be inflicted anytime, anyplace, with any instrument, under any pretext, under any guise, on any target, is a condition that is very hard to come to terms with. The point, amongst other things, is to induce a deep sense of helplessness and powerlessness. Apart from the sheer anger, that is the sentiment that Nice induces: A kind of numbness no consolation can overcome. There is a structure to this monstrosity. ISIS, and those inspired by it, are driven by a political agenda. There is a lot of talk of the individual psychological characteristics of the perpetrators, whether in Bangladesh or in France; and deep puzzlement over what motivates such violence. They do not lend themselves to easy psychological profiling or sociological theories. You wonder what kind of rage can induce someone to mow down 80 people. But the fascination with individual and social milieus should not blind us to the fact that we are dealing with a specific political ideology that legitimises itself in the name of Islam. The debate on whether it is real Islam or not is beside the point. That debate is often a distraction from focusing on the specific ideological nature of this threat: It is a religious vision that seems to see itself as an agent of an apocalypse of some kind. As Graeme Wood had pointed out in the Atlantic, it induces a fascination with danger, violence, struggle, pain and death, against which argument seems almost irrelevant. It is almost as if there is a bunch of people, tired of the banalities of life, finding meaning by trying to make violent death a banal and commonplace occurrence: Something you should expect around the corner in ways that are utterly senseless. The term random is often used in connection with these killings. But random is a misleading word in this context. They are not random in this sense: They are inspired by a murderous ideology. They are not random in that a concerted plan seems to be in place to constantly seek new recruits; there seems to be some thought behind constantly metamorphosing the institutional structures that produce such violence so that they become ever more elusive. The “loners” in this instance are not alone: They are produced by a vast network of recruitment and motivation. But the sense of powerlessness that these incidents induce will have serious political consequences. It is important to be smart and not fall into the very same trap that gives this ideology its fascination: A sense of excess; an inversion of ends and means, where violence itself becomes the point; a flattening of all distinctions between the innocent and guilty, an ability to extend the theatre of war to every sphere. This is exactly the outcome they want, and all civilised states will have to strain to ensure that they do no fall into this trap. Terrorists deserve no aid and succour. States need to interdict them. The kind of attack in Nice is disconcerting because it is hard to imagine any state being able to stop them.